My six year old robot could draw that. Can robots express creativity? That’s a question that goes deep into the concept of what creativity is, and just how truly preprogrammable human beings are. But can robots express their artistic influences well enough to make some fairly serious bank? Kaching kaching? That folks, has been answered with a resounding yes, after a program created by the Paris based programming trio, “Obvious” painted a blurry painting titled “Edmond de Belamy”. The painting sold for $432,500 — a good deal more than the original estimate of $7,000 – $10,000 that the trio, consisting of Pierre Fautrel, Hugo Caselles-Dupré and Gauthier Vernier, made towards the painting’s price. The painting, not unlike the work made by Botnik Studios, including their incredible Harry Potter riff, makes its product vis a vis feeding the artificial intelligence algorithm a variety of influences. 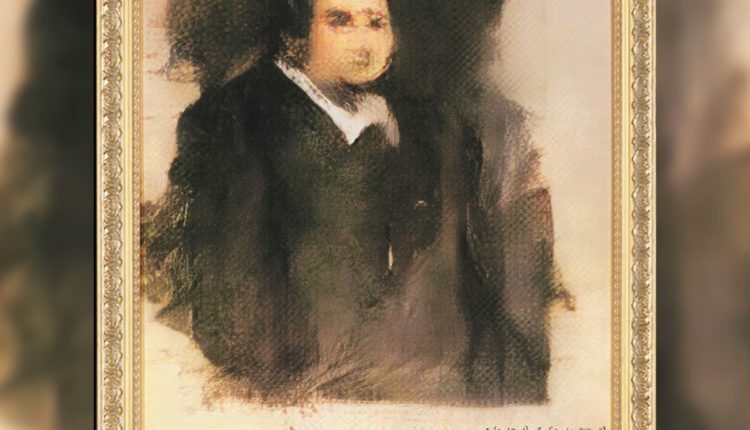 In the example of “Obvious” they fed the algorithm 15,000 images of portraits from different time periods, resulting in the blurry work of art seen above. 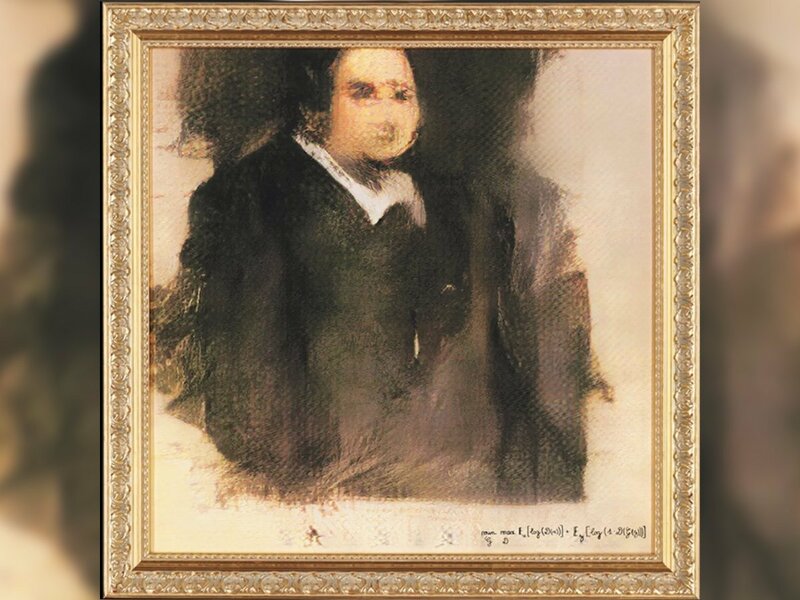 The painting is signed “min G max D x [log (D(x))] + z [log(1 – D (G(z)))]”, which is a portion of the algorithm in question that sired this glorious Renaissance style painting. Glorious. We can’t wait to see what this hip young but very metallic artist creates next.